If you’re talking about the best diving locations around Indonesia, you can have some names mentioned like Lombok, Raja Ampat, and also one location that still being a primadonna for diving called Gili Trawangan. As a member of many Gilis, Gili Trawangan can be said to be the best diving location in the country. 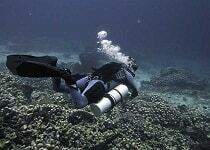 Of course, it’s not given by us only, many divers including the professionals are also said the same. So, if you really love doing this sport, then visiting Indonesia especially to Gili Trawangan should be the best thing to do in your bucket list. However, there are some tips that we’re gonna share with you today in this article of tips to do scuba diving in Gili Trawangan Indonesia. It won’t take long, so make sure to pay attention to the details. Let’s start with it. 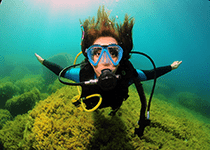 The first tip on the list is to enter and join the dive course. This one is really important for the beginners in the world of diving. Around Gili Trawangan, you can find them easily by looking at their exact location at any platform you trust. Then you can come there and see it for yourself. 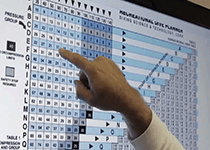 Also, some of the diving courses are also being the certification agency. So you, who want to get a certificate of diving from SSI or Padi, you can join the Open Water Course for about three days long. It’s gonna be worth it. The most important thing that you should take care of even when traveling somewhere is your own health. The simplest thing to do is know what you eat, avoid what you mustn’t eat at any cost. You need to get in a better shape to be able to enjoy diving activity more neatly, it would be very comfortable to swim. Aside from getting into a healthy condition of the body, you need to maintain the condition as well by exercising and eating healthy foods. Thankfully, Gili Trawangan is also rich with fresh fruits that you can buy. Use this opportunity well. 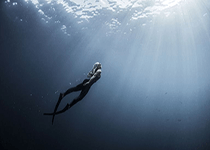 When you finally entering the underwater world of diving, the one thing to notice is your oxygen level. You know this already if you paid attention to the details that told by your instructor. Conserve your oxygen by staying calm and relaxed. This can help a lot during your diving activity. With the calm emotion, you can be more focus, so having a clear sight and plenty of oxygen are the things you’ll get if you doing so. Just slowly take a breath and stay relaxed, and follow your instructor to the best spot. Well, you know that diving underwater is done underwater. So sunlight wouldn’t burn your skin of, right? Nope. Even though the whole set of activity is surely done underwater, being on a beach, on a boat, even on the water surface cane give you a risk of getting sun burns on all over your body. And that can be hurt seriously if you have very sensitive skin. Of course you wouldn’t let that to happen. That’s why, sun screen is your best friend in this occassion. It can protect your skin thoroughly when you’re up on the surface. Drunk can’t be good if you’re done it on the wrong moment. For example, drunk dive can give you reasonably high risk of getting an accident, a fatal one. So does with the scuba diving. If you’re not sober, and force yourself into this kind of activity, it could deliver a fatal blow that you wouldn’t even imagine. So, always remember to not dive while drunk or in the after effect from using drugs or things that can mess up your consentration or even causing halusination. It can be really dangerous, both for yourself and people around you. Sometimes, we want to explore something is unbearable. It can lead to two things, either a new discovery or the death itself. 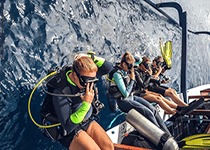 In this sixth tips on tips to do scuba diving in Gili Trawangan Indonesia, we want to make sure that you’re not wondering to deep into the ocean. If you diving alone or don’t have a suitable skill for this, it’s a no go. Besides getting exposure from dangerous risks like getting into a threatening area (like a school of sharks or manta rays), the other risk is getting lost somewhere in the depth of the sea. It’s easier if you just follow your group or diving around the safe recommended area. 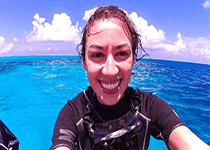 The next one in tips to do scuba diving in Gili Trawangan Indonesia is diving with friends. 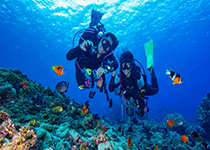 Diving is more fun and exciting if you have someone with you. It can be your friends, family members, or just your loved one. At least, you have a company. You can learn diving together, learning all the new things while exploring and witnessing something you’ve never seen before. It can be even more fun if you start from the bottom together from the diving course. You can get along pretty well and doing a whole new activity in the process. They can be a great help when you’re in danger of confusion also. The next tip, which is also considered to be a really basic one is to trust your instinct. There’s nothing wrong if you have a belief to always trust your own gut, especially when doing an activity like diving. You know yourself better than anyone, even though the person who is really close to you. That’s why, if you doesn’t feel it, never push it. If you have a bad feeling about joining in the dive sport, then don’t do it. Never push yourself, betraying your instinct and common sense just for proving something that is not worth it at all. The next one in tips to do scuba diving in Gili Trawangan Indonesia is use the good equipment. 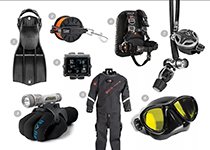 If you really love diving, you should invest some of your fund for better equipment. They are really important and can greatly help you during your time diving under the sea. Diving around with equipments in bad shape can be really dangerous, especially if you’re using them for a long period of time. 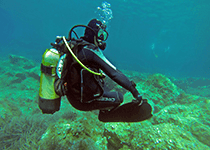 Focusing in having good set of diving equipment is not that hard. You can start with buying the basic stuff like regulator, mask, fins, and then continue to buy more precious equipment like BCD and computer in the future. There are some people saying that we need to push ourselves toward better goal. No pain no gain. Well, that’s not very true in every sport, including the diving. Always know your diving skill, and now where you should and shouldn’t dive by looking carefully at the location of the pointed diving spot. Never push your skill limit for only curiousity or for showing off your equipment. That childish behavior could lead you to devastating result for the next couple minutes. So, if you want to train, only do it a little for a time. When diving in the ocean, you can see so many kinds of varieties of sea animal. The varieties of coral and fish are included in them. 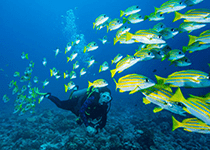 After spending more time in diving, you could remember the kinds of fish that might catch your interest, the ones you want to meet in the next diving moment. Knowing your fish could be an easy thing to do if you also do a little research about them. Knowing where they live, how they live and understanding their features. This can be important when identifying the dangerous fishes to avoid. This usually happens when you’re doing an activity with a group of people. Sometimes, we don’t know where we heading and just following along. When diving, even though with some people, you need to understand the location of diving. After the location, you can do a little search for what kind of things you can see there, and the interesting high lights of the location. 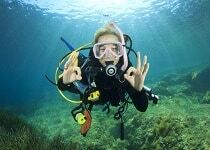 That way, your diving activity can be very much satisfying and predictable. When choosing an instructor, you need to match with your criteria. Choose the instructor that can suit you the best, either from the way of talking, the ability to talk in your language, and the skills that reflected from the certificates. Getting a trustable instructor that you’re comfortable with is really important because diving is not fun at all without an enjoyment. Plus, these days, there are frauds who proudly naming themselves as instructors. When coming to Gili Trawangan, you’ll be given a lot of choices to stay. There are some resorts and hotels that can be used for your stay. For this point in tips to do scuba diving in Gili Trawangan Indonesia, we want to make the whole topic about it in the next article. Make sure to stay tuned at Facts of Indonesia.com to know the best places to stay around Gili Trawangan Indonesia.